What are sanitary pipe fittings? Sanitary pipe fittings are mostly used in the control of materials that are dry and bulky. Some of these materials are used in the cosmetic, pharmaceuticals, food, biotechnology and chemical industries. The fittings are usually designed to meet the stringent requirements in these industries. To control the flow of solid materials, the fitting design should be easy to detach, to disassemble and to clean thoroughly. This calls for fittings whose design is specifically made to these stringent sanitary requirements. The design of the sanitary fittings can be varied according to its intended purpose. Some designs may be suitable for fragile tablets or capsules, dry powders or for the purpose of controlling dosages. The designs generally have a manual operating level for initiating the flow of its content. Here are some common features and benefits of sanitary fittings. These sanitary fittings are made using some of the latest technology. They come with a regulation control which can also be used for isolation purposes. The fittings are usually designed to allow the flow of contents in more than one direction. The equal percentage feature enables the accurate flow of materials. The stainless steel body used in their manufacture allows them to be fully machined. The fittings are usually designed as a one-piece disc which is then stem assembled. An important feature of the equipment is the fitting’s position indicator. Clients usually have the option of getting high-grade seat materials. The sanitary fittings allow for easy maintenance. Most problems with the fitting can usually be handled at the site. The handle assembly is available in a combination of dual or multiple positions. They come with polymer handles that are reinforced to contain high impacts. Full stainless steel versions are also available. The standard manual fittings are fitted with integral padlocking systems. There are multiple other optional accessories designed to meet client expectations. Many stainless steel sanitary fittings in food corrosion resistance are very good, such as one, two types of tableware, kitchen utensils, water heaters, drinking fountains, etc., there are many foreign businessmen for sanitary pipe corrosion resistance also tested: NACL solution heated to boiling, drained solution for a period of time, suction clean drying, said weight loss, to determine the degree of corrosion. Sanitary pipe fittings have different uses, the welding performance is also different. Some tableware on the welding performance does not require, including some pot enterprises. But the vast majority of production needs of raw materials, welding performance, such as the second category tableware, insulation Cup, pipe, water heaters, drinking fountains and so on. 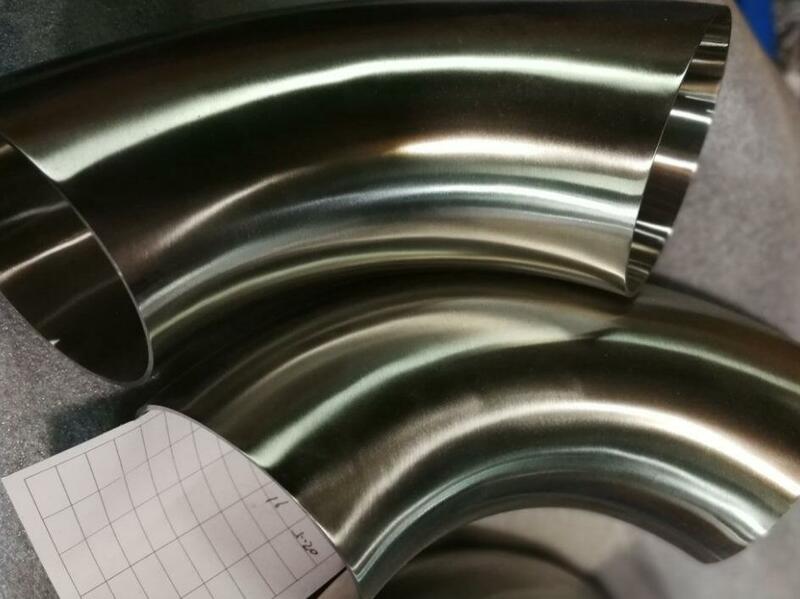 Sanitary pipe fittings polishing performance (BQ), at present, the stainless steel sanitary pipe fittings were polished in many industries, only a small number of products such as water heaters, drinking fountains, etc. do not need polishing. The raw material requirements are very important. ① raw surface defects. Such as scratches, pitting, acid pickling. ② sanitary valves material quality problems. Hardness is too low, polishing is not easy to throw bright (BQ is not good), and hardness is too low, in the deep drawing surface prone to orange peel phenomenon, thus affecting the BQ. BQ hardness is relatively high. ③ After deep drawing products, the deformation of the surface area will be a great little black spots and RIDGING, thus affecting the BQ.